Great news, everybody! 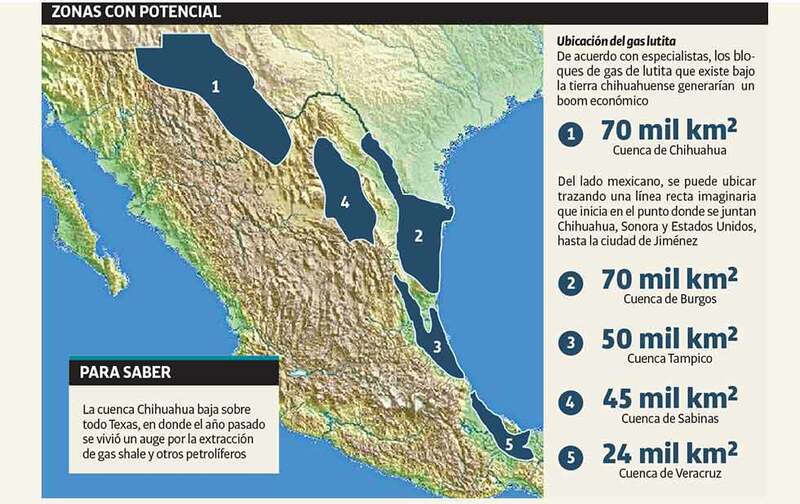 According to this story in El Diario, Chihuahua is sitting on one of the largest shale gas basins in Mexico! Start bottling water and leave your bathtubs full. If staggering municipal debt wasn’t enough to drive the last citizen out of town, wait till our southern horizon is dotted with a thousand derricks. Fortunately as you can see from the map above, the shale gas stops at the border. How did those statesmen who drafted the Treaty of Guadalupe Hidalgo know that? They do erect a drilling rig to get to the gas, but then, once it’s tapped, they cap it, and all that is left above ground is the pipes and fittings.